The d5 is for the 5 bonded layers as opposed to the usual 3. 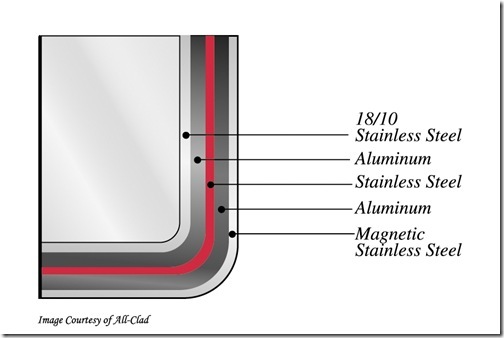 The inside layer is corrosion resistant, non-reactive 18/10 stainless steel. 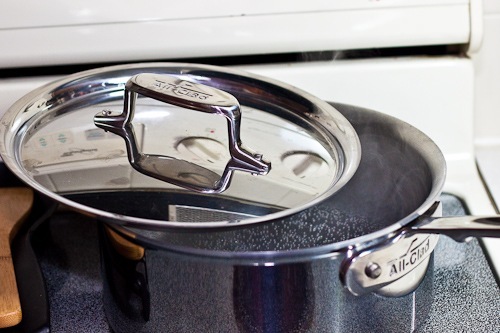 The inner stainless steel core is sandwiched between 2 aluminum layers which are responsible for the even heat distribution and the ability of the pan to quickly attain and maintain its temperature. The outer layer is shiny enough to use to put on your makeup. Oh and it’s magnetized, so you can use it on induction burners. Not that I have an induction burner. In fact I’m not really sure how an induction burner works. But I felt I should mention it, and so I did. 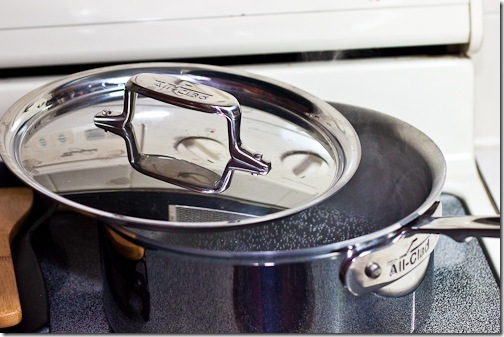 As you can see from my pictures, they’ve also redesigned the handles on the pan and the lids, which I really like. The new design makes it easier to use potholders or towels to grab the handles. And that’s about all any cook who doesn’t have a PhD in Metallurgical Engineering needs to know about that. I’m guessing that what you really want to know is what this all means in kitchen speak. To put the saucepan through some paces, I decided to make polenta, which can go really, really wrong in the wrong kind of pot. Not that I would know anything about sticking, burning polenta. Nope, not in my kitchen. 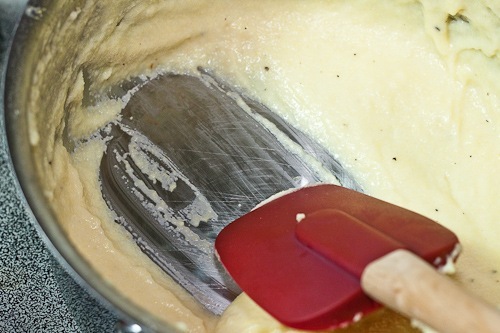 If you feel inclined to give it a try, you can find my decadently creamy, cheesy polenta recipe at the end of this post. I really think I could have walked away from the cooking polenta for 30 whole minutes and not have had a single bit of it burnt or stuck to the pan. It would probably be a lumpy mess, but it would be an unstuck lumpy mess. As it was I whisked it only occasionally during the cooking and had no problems. Zero, zip, nada. I did have to lower the heat a bit once the pan got going, or risk a volcanic polenta eruption. This tells me that the heat retention capabilities of this cookware have not been exaggerated, which can mean having to adjust cooking temperatures for your recipes. 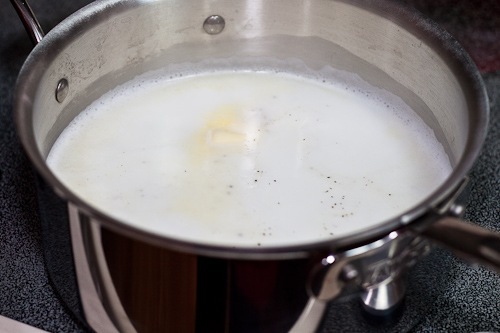 If you are used to cooking a dish on medium high, you may have to knock that down to medium once the pan heats up. If you don’t want to get those little scratches like I have on my pan above, just use a silicone whisk instead of a metal one. Me, I’m perfectly content with my scratches; they show that it’s a well used, well loved pan. And they in no way affect the performance. To sum it up: No hot spots, even cooking, better heat retention, lower cooking temperatures and it’s darn nice to look at too. And did I mention that I have run it through the dishwasher a few dozen times by now, and it’s just as pretty as the day we met? As someone who is working her way through a bad case of tennis elbow – which I got from playing Super Mario Brothers on the Wii, not from playing tennis – I do have to mention that the saucepan is surprisingly heavy. I’m not talking cast iron heavy, but it could probably take out a small mammal if I accidentally dropped it on one. This is, of course, an indicator of a great piece of cookware, but my elbow isn’t quite as convinced. I find myself using this saucepan for just about everything saucy, soupy and stewy, and it invariably performs without fail. My other saucepans are thinking of leaving me, and frankly, I wouldn’t be at all sad to see them go. I have a stainless fry pan, but I am putting a new d5 pan on my wish list for the very near future. 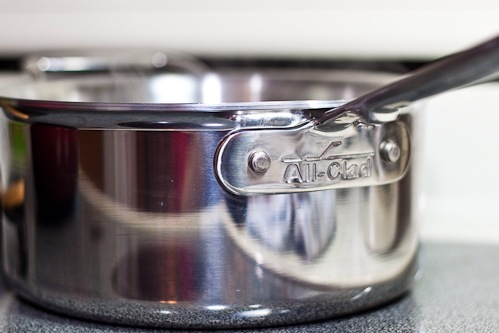 As of December 26, 2009, the new All-Clad line is available exclusively at Williams Sonoma. And finally, just so you (and the FTC) know, if I had turned out that I didn’t like the saucepan, I wouldn’t be writing about it. I did get to keep it, but the people at All-Clad would have had to pry it out of my cold, dead hands to get it back anyway. 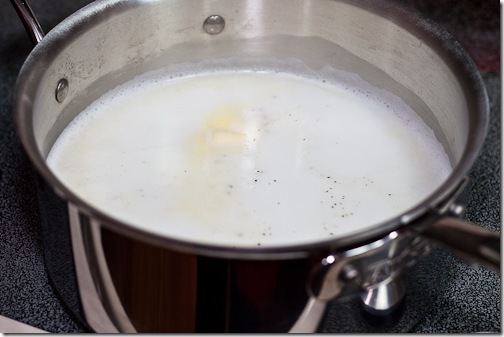 Bring water to a boil in a heavy saucepan. Add butter, cream, salt and pepper. 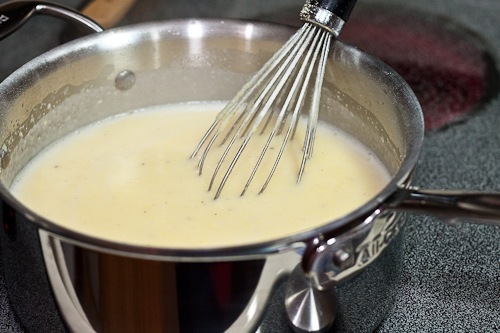 Whisk in the cornmeal and continue to whisk until fully incorporated and free of lumps. Cover and cook over low heat for 30 minutes, stirring frequently. 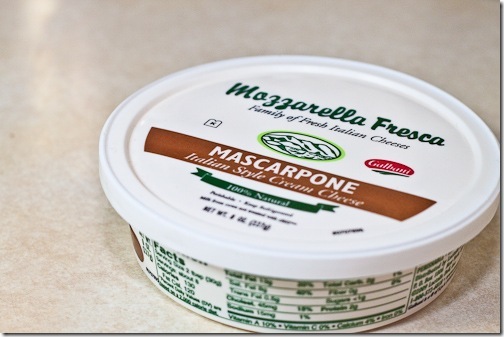 Remove from heat and stir in the mascarpone and parmesan. Serve immediately. 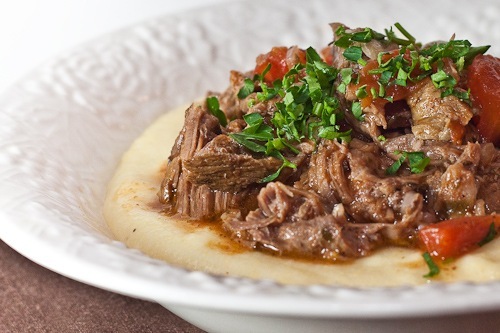 Try serving this creamy, rich polenta with a big heaping spoonful of my Bollito Di Manzo – Italian Boiled Beef with Tomato, Anchovy and Caper Sauce. That last shot made me drool. I can only imagine…no, FANTASIZE about how good that must have tasted. This new All Clad 5d looks and sounds very well constructed. I am in the market for replacing my Cuisinart stainless set this year and the 5d will definitely be on the short list. You specifically addressed in your review, the things I can’t stand about my Cuisinart set, hot spots, thin walls, and uneven heat distribution. They are ornery. this looks excellent! I make mine with Blue Cheese. 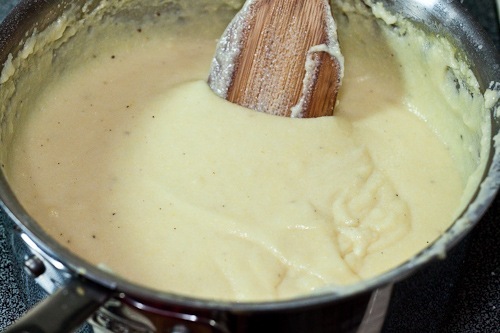 Polenta is soo good about absorbing flavors! If you threaten to drop the All Clad on the dog because it’s underfoot, just make sure the kids aren’t within earshot! 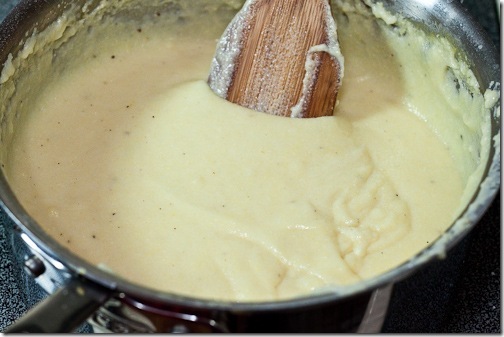 This pan looks like a winner and this Polenta Marscapone looks just amazing! I want the D5 stainless fry pan, too! Will have to put it on my birthday wish list. 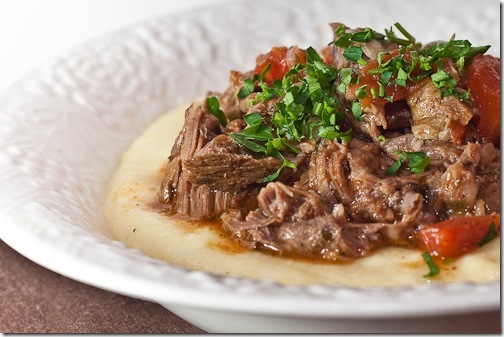 I’m always looking for good polenta recipes and this one looks like a keeper! Yum! I’ve had my eye on those new All-Clad pans as well. Glad to learn that they are great. Can someone explain to me how this pan is more efficient than the original All-Clad SS range? 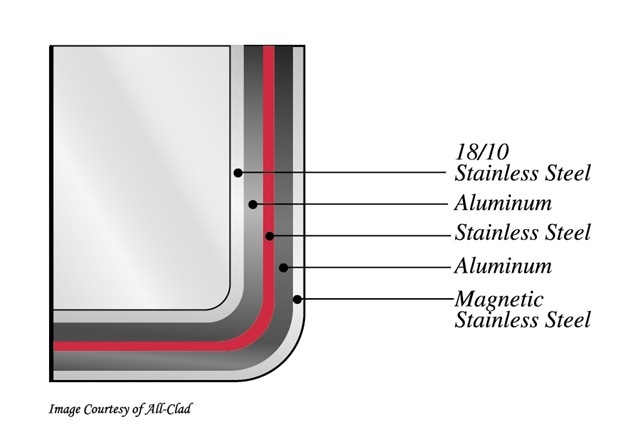 My understanding of Metalurgy (fancy word but I don’t really have much knowledge) is that Stainless Steel is not as good a conductor of heat as Aluminium or Copper. So then shouldn’t this pan take longer to heat up than the standard SS range? I’m not doubting its brilliant, I just don’t understand it. The pan does indeed take longer to heat up than the cheaper, thinner stainless steel/aluminum pans you can buy at the store. But when cooking with Stainless, you don’t want fast heating, you want even cooking with no hot spot that can burn the food. This thick, layered pan does a great job of even heat retention, so that you can cook at a lower temp, and reduce the risk of burning or uneven cooking. I’ve been using my pot for months now, and I am still extreamly satisfied, even with the higher price. 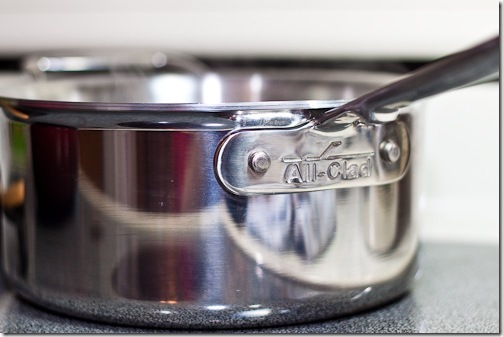 I love most of the All clad products but some of them are pretty expensive. This one looks nice for slow cooking.